Updated Friday February 22, 2019 by Mason Youth Organization. MYO is proud to offer a variety of programs to accommodate the baseball and softball needs of the Mason community. See descriptions of all MYO programs below. Tee-ball is offered for boys & girls 3-4 years old. Boys 5-6 years old play in the 6U division, which is a combination of machine pitch and hitting off a tee. Seven year olds then play in 8UA where it is all machine pitch. Eight year olds play in 8UAA where it is half machine pitch and half kids pitch. Then starting at 10U it is all your traditional kids pitch Little League Baseball. The 8U divisions and up all have a post-season tournament in the middle of June followed by an internal All-Star game, which is usually the third or frouth weekend of June. Near the end of the Spring season, players in the 8U divisions and up are eligible to try out for the D9 All-Stars. Spring Season: early April - mid June, Registration: Nov. - Jan. Follow us on twitter and get updates on the MYO Facebook page. 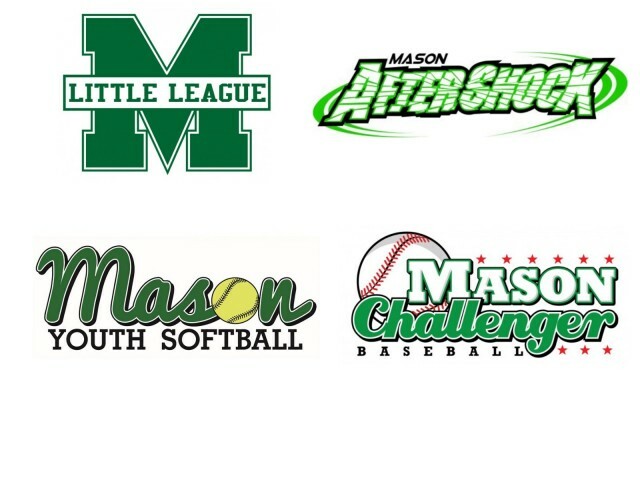 Mason Youth Softball (MYS) gives mason-area girls age 5-15 the opportunity to learn and play softball in an organized recreational league. From 6u-8u coach-pitch to 10u-14u fast-pitch, girls will learn the fundamentals of the game, and grow as a player as they advance through age groups and competitive levels. MYS has both spring and fall seasons and plays within the North Cincy Softball League. The fall season is geared toward instruction whereas the spring season is geared toward competition. With a variety of competitive levels in the league, players from beginner to advanced can get the most out of their softball experience. Come join the fun! Get more details on our About MYS page. Aftershock is MYO's more competitive baseball offering. Players are generally from the Mason area, tryout and are selected to participate on teams ranging from 8U to 17/18U. Aftershock teams will play tournaments and other competitive regular season teams. Most Aftershock Teams also play a Little League schedule and players are eligible to try out for Little League All Star Tournament. Aftershock players are developed with a goal to compete at the highest levels and to be prepared for High School baseball. The Aftershock Organization is proud to have/had players on Mason, Fenwick and Kings High School Freshman/JV/Varsity teams. The organization is also proud to have a strong retention of players, and a player approach based on building relationships with teammates from the local schools and a balance of competition and fun. Aftershock players are charged an additional fee to cover tournaments, upgraded uniforms, additional practice time and more games. Tryouts are early to mid-July. 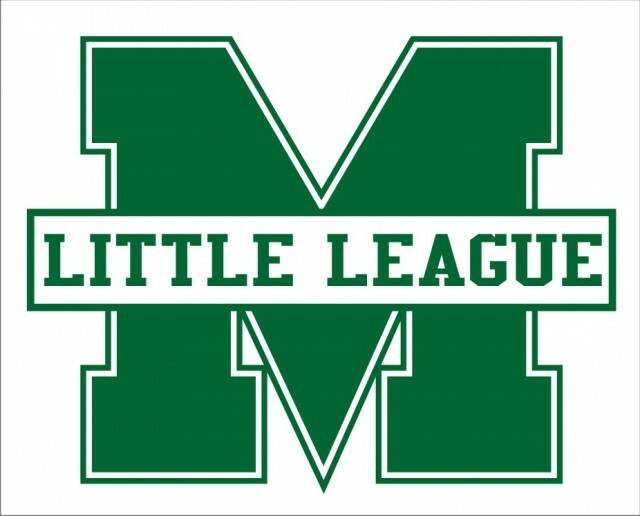 The Challenger Division of Little League is a program for youth with physical and developmental challenges, helping them to enjoy the full benefits of Little League participation in an athletic environment structured to their abilities. More than the skills of baseball learned through the experience, the value of the Little League Challenger Division is found in the proven therapeutic and socialization benefits of participating in sports, the strengthening of participants’ self-esteem, the opportunities to mainstream into other divisions of play, and the disciplines of teamwork, sportsmanship and fair play, which are hallmarks of the Little League program. The Little League Challenger Division provides the framework so Little League programs may offer a structured, athletic activity for all youth in their communities. Playing with the same equipment on the same fields, Challenger Division participants have the opportunity to experience the joys of pulling together as a team, being cheered, and earning awards for their achievements. Spring Season: First weekend in May thru end of June. Registration: Nov- Mid February.